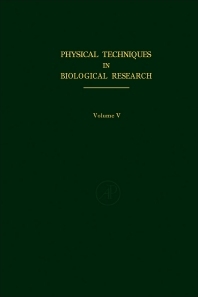 Electrophysiological Methods presents a compilation of essays relating to the field of electricity. One topic is the introduction and analysis of electrical stimulation. Other types of stimulation are thermal stimulation, light stimulation, touch stimulation, and auditory stimulation. Microelectrodes act as links by which small regions in biological tissues are electrically joined to amplifying and recording devices. This topic is explored more thoroughly in the book. The physiological activity of cells in nerves, muscles, secretory organs, and other biological structures is accompanied by electrical changes which appear across the cell membrane. This occurrence is another topic in the text. Intracellular techniques employed to record transmembrane potentials and to stimulate cells are likewise presented. A section of the book presents microelectrophoresis which is a method wherein electrical flow is employed to manipulate the ejection of chemical substances from fine microelectrodes or micropipettes. The book will provide useful information to neurologist, cytologist, doctors, students, and researchers in the field of medicine.